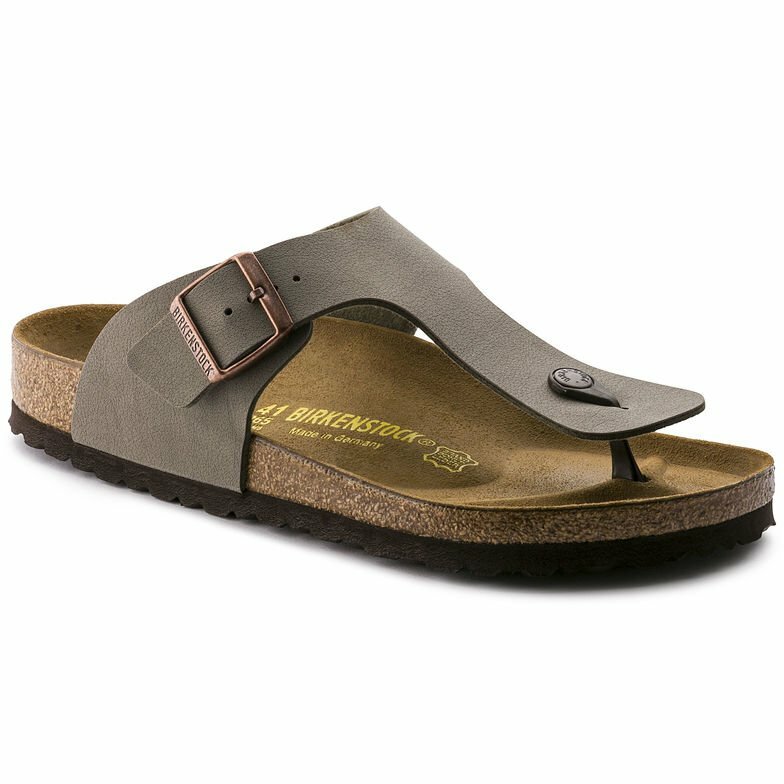 The BIRKENSTOCK Ramses is the more masculine counterpart to the classic Gizeh unisex thong sandal and is popular among men on account of the somewhat wider strap. The upper is made of skin-friendly, easy-clean Birko-Flor® in a sophisticated nubuck look. The heart of the sandal is the anatomically formed original BIRKENSTOCK cork-latex footbed with a smooth suede lining.